Srinagar, Feb 12: Not a single Kashmiri crossed over to other side of the Line of Control (LoC) while five guests from Pakistan-occupied-Kashmir (PoK) arrived here to meet their relatives, separated in 1947 due to partition, official sources said here on Tuesday. They said six returnees also cross side at the Kaman post, the last Indian military post on this side of the LoC in Uri sector. 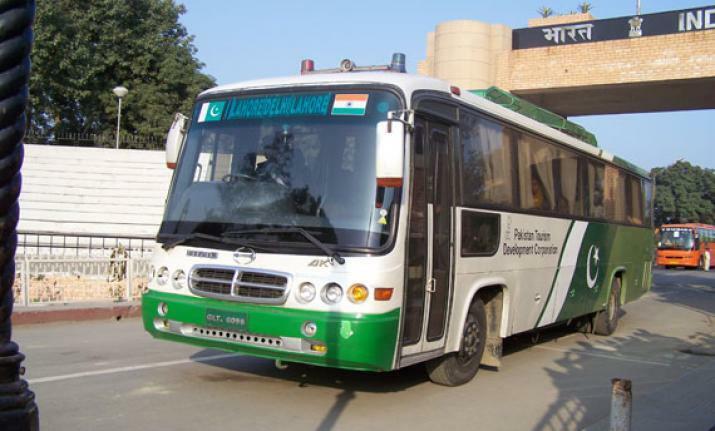 The Karvan-e-Aman bus, operating between Srinagar and Muzaffarabad, capital of POK, left Bemina, Srinagar, without any passenger at 0730 hrs Monday morning despite separatist call on the death anniversary of JKLF founder Mohammad Maqbool Bhat, who was hanged to death in Delhis Tihar jail on February 11, 1984. However, two PoK residents, who had come here in previous buses, returned to their homes in the bus. No Kashmiri crossed over to the other side. Meanwhile, five fresh guests arrived here on Monday evening to meet their relatives, separated in 1947 due to partition, they said, adding that four Kashmiris, including a woman a child, arrived here after completing stay in PoK. The bus, operating since April 7, 2005 has helped thousands of families, separated due to partition in 1947, to meet each other. However, only state subjects from both sides of the LoC are eligible to travel on “Travel Permits” instead of International passport.